The devastation caused by Hurricane Harvey along the Texas Gulf Coast is widespread, and will likely extend into the billions of dollars. Once area residents are rescued and out of harm's way, the clean-up will begin in earnest. And that means companies and individuals will be filing insurance claims. To make the claims process go more smoothly, and to speed up your insurance check, the Insurance Information Institute (III) says there are six steps consumers should follow. First, contact your insurance company as soon as possible. That might sound obvious, but people who have suffered catastrophic damage may need some time to collect their wits. The point is, make contacting your insurance company a priority. You'll need to provide a policy number and the best phone number and email address where you can be reached. Here's something else to consider -- insurance adjusters will first visit property with the most extensive damage. Be ready to provide an accurate description of your damage over the phone, along with any special needs your family has. 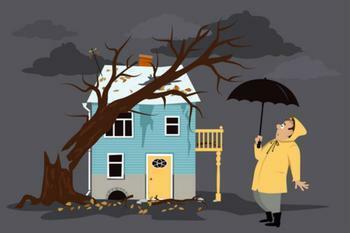 While waiting for the adjuster to arrive, document your loss. Take photographs of everything that was damaged or destroyed and provide them to your insurance company. Don't throw anything away before checking with your insurance company first. If your local government requires that damaged possessions be removed as a safety precaution, take plenty of photographs first. Make sure you sign up for text alerts. Most insurance companies offer them and its a great way to keep up with the status of your claim. Take advantage of emergency services, if needed and available. If you need help removing water from your home, covering a damaged roof, or closing off damaged doors and windows, many insurance companies will send a licensed and approved provider to take care of it. Besides documenting your claim visually, keep a good claim diary. Make a list of everyone you speak to about your claim, including the date and time, and what you talked about.